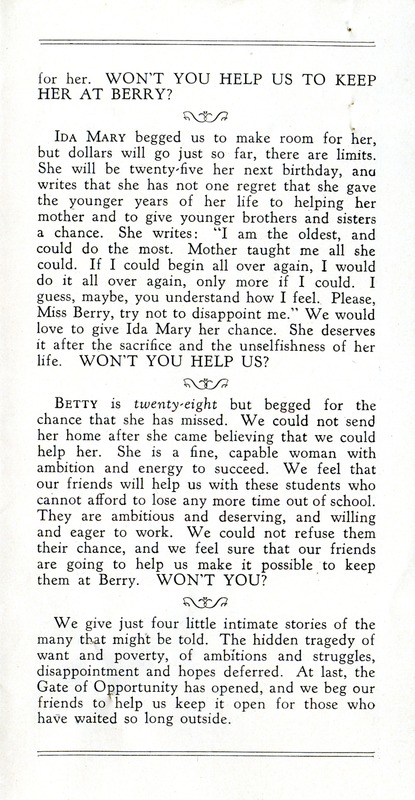 This pamphlet promotes the Berry Schools by providing stories of the harsh backgrounds of some Berry students. 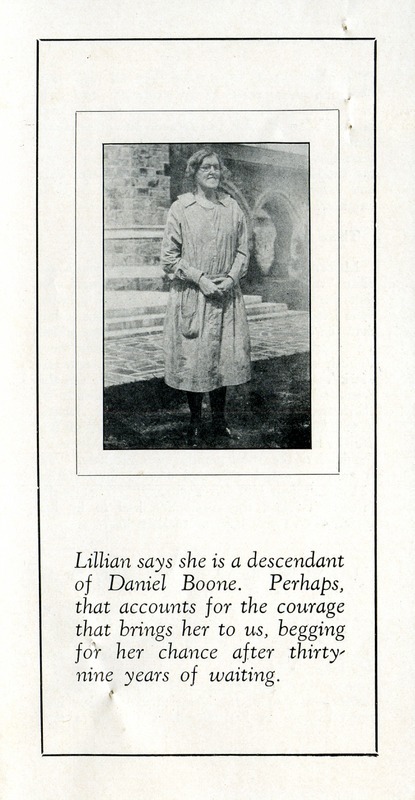 The attached donation card has been returned with a $150 donation from Mrs. J. Noel Macy. 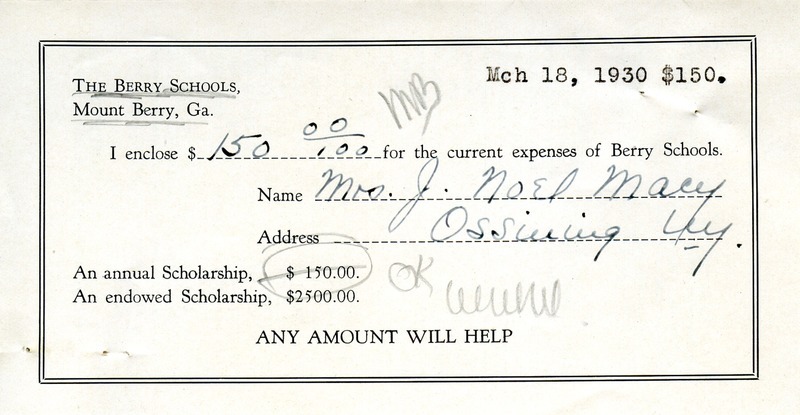 Mrs. J. Noel Macy, “Berry Schools Promotional Material Returned by Mrs. J. Noel Macy.” Martha Berry Digital Archive. Eds. 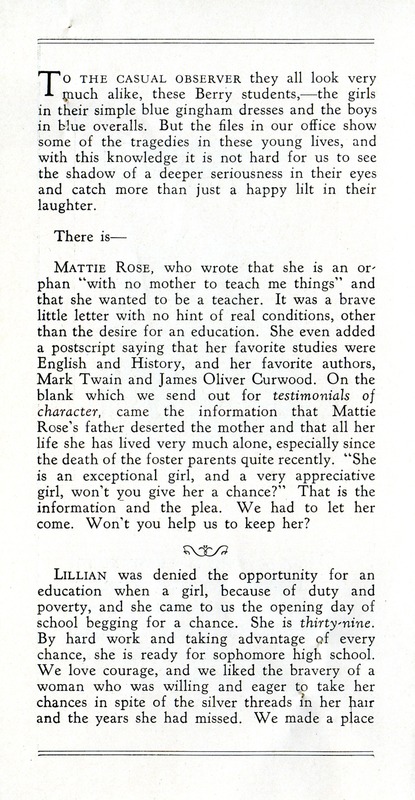 Schlitz, Stephanie A., Allison Moore, Meg Ratliff, et al. Mount Berry: Berry College, 2013. accessed April 26, 2019, https://mbda.berry.edu/items/show/13196.